Everyone knows that the season of startups, technology, and innovation officially starts on a cold, cold week in a freezing city at the heart of the Baltics. In other words, it starts with TechChill, the annual meeting place of open minds inspired by the age of technology and the opportunities it offers. This small gathering, built by a tiny local non-profit committed to empowering startups, has grown into a week-long celebration – and the best place to discover the Baltic startup scene. This year, you can expect the startups to be bigger, the topics even bolder, and the atmosphere as hot as the weather outside is cold. 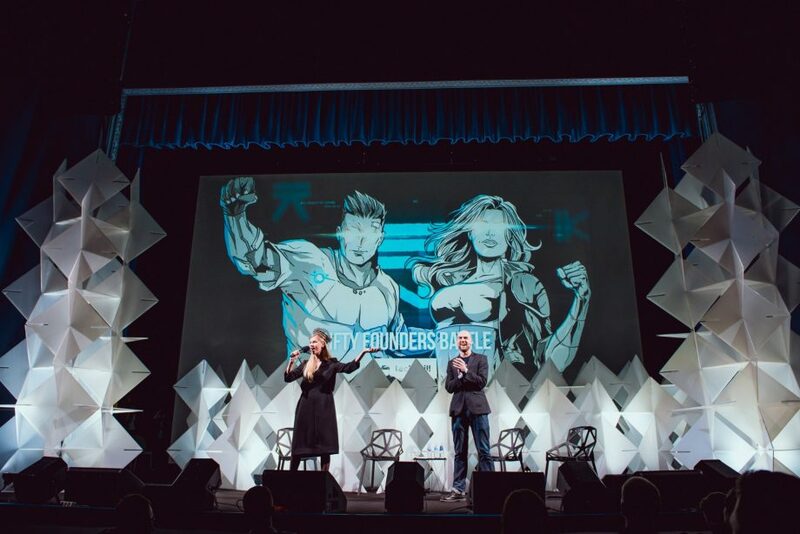 With investor matchmaking, business expo, networking, and around 20 side events to choose from, there is more to TechChill than just the stage agenda – but it is a great motivator to make the trip. So let us offer a brief insight on what to expect during the two days, two stages and around 70 speakers from all over the world who will take the floor. The focus of our agenda this year is IMPACT, or more specifically, how technology impacts not just the startup bubble, but also individuals, regions and societies around the world in the long term. Innovation can be a force of immense good, and no one will dispute that science and technology are the key drivers that improve our lives, making them easier and better. However, as technology permeates our life and seemingly takes over every aspect of it, we are inevitably left with the hard and uncomfortable questions – how to deal with the rapid changes and the consequences technology brings? Is disruption always good? How to build tech companies that work for everyone, and really make the world a better place, even when it’s hard to do – not just an open promise on a pitch deck. And these are also questions for us – what, if anything, we as users, customers and citizens should ask and expect from tech brands, corporations and policymakers, and how we can learn to manage the role of tech in our own lives. Innovation can be a force of immense good, and no one will dispute that science and technology are the key drivers that improve our lives, making them easier and better. We will look for answers to these questions not just from startup founders, but also the investors choosing technology to invest in, large technology companies responsible for millions of their users. Cassie Kozyrkov, the Chief Data Scientist from Google will share her insights on the ever-increasing role of data and AI in our lives; Ginny Fahs, Uber engineer and activist will talk about her initiative #MovingForward, a social movement committed to making technology’s next chapter more human and inclusive. Our friend Stewart Rogers, a long-time writer for VentureBeat, veteran of the tech industry and co-founder of Tribe of Why will talk about tech-life balance during his keynote and panel on mental health in entrepreneurship. We’ll meet David Ryan Polgar, a pioneering tech ethicist who paved the way for the hotly-debated issues around Facebook, privacy, ethical design, digital wellbeing, and what it means to be human in the digital age. We’ll give the floor to new founders offering fresh ideas on disrupting traditional industries for the better, as well as experts offering a deep-dive into the future of smart cities, mobility, fintech, bio tech, privacy and health, areas that will impact each and every one of us in the near future. The one thing that hasn’t changed for TechChill is our focus on the human side of tech – the-real-deal founder talks that don’t shy away from the harsh and demanding realities of startup life. As always, you can expect to meet great founders on the main stage, and hear their honest and raw stories from behind-the-scenes – the good times, the bad times, the challenges and insights on hiring and creating a culture in fast-growing teams, finding a product-market fit and sometimes pivoting accordingly… and failing every once in a while. That’s still true, and we’ll offer the stage to founders and experts building for impact – both on the society and themselves. The one thing that hasn’t changed for TechChill is our focus on the human side of tech – the-real-deal founder talks that don’t shy away from the harsh and demanding realities of startup life. Two of the most experienced founders from the Baltics will share their personal stories of building companies for the future. Kristel Kruustuk, the Co-founder of Testlio will share her insights on the founder’s dilemma and relinquishing the CEO title, while Milda Mitkute, the CEO at Vinted, the Lithuanian startup that just raised another 50M, will tell the story of their road so far. Don’t miss the keynote by Jennifer Kanyamibwa of Twitter on how to build a team culture for the long term – she will focus on the complexities, celebrations and challenges of building phenomenal teams, and how building a team is like building a tribe. Joshua Slayton, the Co-founder of AngelList and CoinList, will talk about how running a startup is different than running an established company, and how playing by the rules is not always the best strategy in the earliest stages. And of course, we’re looking forward to hearing Casey Fenton, the Founder of Couchsurfing on how as an introvert and programmer, he explored the intersect of humanity and technology which resulted in him founding the world’s greatest trust experiment. But the ultimate goal for TechChill Foundation is to support and empower startups, and we’ll pick apart the driving forces behind empowering innovation and supporting startups. Kat Borlongan from LaFrenchTech and Dominic Jacquesson from Index Ventures, Voitto Kangas from Maria01 will join policymakers and experts in their field to discuss how to drive innovation on both the small scale and on a big one, how policies help and hinder growth, and how cities, regions and even continents fight for the best talents and ideas. TechChill is the key event that showcases the most promising startups from the region. If you want to know what’s hot and brewing in the freezing Baltic Sea, there is no better place to be than at the Founder Stage on Day One, when 50 of the best and brightest startup teams will offer their best pitches to the audience. The startups have been selected from nearly 200 applications from 35 countries, and represent the best ideas in 5 key verticals (fintech, SaaS, deeptech, hardware&IoT, and impact). And to get a wider sense of the investing scene in the region, don’t miss our traditional investor panel on the main stage with the leading Baltic investors. If you’re looking for a deep-dive into entrepreneurship, and we know you are, we strongly recommend heading towards the LMT Founder Stage, where the very best experts in their field from companies such as Uber, Veriff, Printful, TestDevLab, Rundit and many more will dish out all the trade secrets of building a success story – getting started, working on product, hiring and building a team, fundraising and working with investors, growing, scaling and marketing. We will focus on startups and fresh new ideas that strive to make a real difference, challenge our mindset and use technology to tackle the complicated problems our generation is facing. We’re highlighting tech that matters – the superheroes working on solutions in sustainability, mobility, healthtech, foodtech, edtech, automatization, science tech – the potential of newest technologies to solve the issues previous generations couldn’t. You’ll meet Sonny Vu, Founder of Alabaster, who helps founders build companies in new materials, semiconductors, and synthetic biology for clean energy and food production, and Gilad Ragev of Quro Protocol, who will share his ideas on building a new type of economy built on sustainability, among others. Join us for the groundbreaking week jumpstarting the season of startups, technology and innovation. There is something for every tech-head interested in leveraging the power of innovation & technology as a force for good. There is no time like the present to get your pass.